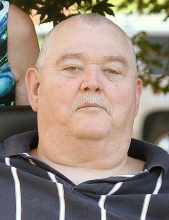 Celebrating the life of Jimmie Alvin Owens, Sr.
Obituary for Jimmie Alvin Owens, Sr.
Kings Mountain - Mr. Jimmie Alvin Owens, Sr., 69, passed away on Wednesday, November 7, 2018 at Hospice at Wendover in Shelby. Jimmie was born in Maiden, NC on November 6, 1949 a son of the late John A. Owens and Thelma Wilson Owens. He was of the Baptist faith. Jimmie was retired from the maintenance department of Gaston County Schools. He served in the U.S. Marines during Vietnam and was a lifetime member of the Disabled American Veterans. Survivors include his wife of 49 years, Sharon Stafford Owens of the home; a son, Jimmie A. Owens, Jr. and wife Kim of Lowell; a daughter, Michelle Lovelace and husband Thomas of Cherryville; seven grandchildren, Sarah, Alexandria, Lynn, Sydne, Jordan, Kaylee and Jacob; four great grandchildren, Hunter, Gracie, Makenize and Bryan; two sisters, Geraldine Carpenter and husband Larry of Lincolnton and Hilda Owens of Shelby; two brothers, Tommy and Ricky Owens both of Cherryville; mother-in-law, Edna Stafford of Virginia and also surviving are a number of nieces, nephews and extended family. Visitation will be from 6:00 to 8:00 PM on Friday, November 9, 2018 at Stamey-Cherryville Funeral Home & Cremation Service. Funeral Services will be held at 1:00 PM on Saturday, November 10, 2018 at Stamey-Cherryville Funeral Home Chapel with Pastor Dale Hendricks officiating. Burial will be in City Memorial Cemetery, Cherryville with Military Rites provided by Cherryville American Legion Post 100. Memorials may be made to Hospice of Cleveland County, 951 Wendover Heights Drive, Shelby, NC 28150. Stamey-Cherryville Funeral Home & Cremation Service is serving the Owens family. To plant a tree in memory of Jimmie Alvin Owens, Sr., please visit our Tribute Store. "Email Address" would like to share the life celebration of Jimmie Alvin Owens, Sr.. Click on the "link" to go to share a favorite memory or leave a condolence message for the family.